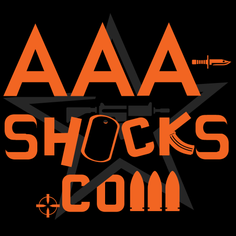 What is AAA-Shocks? - Aiming verbessern in Shooter Games, Bro! 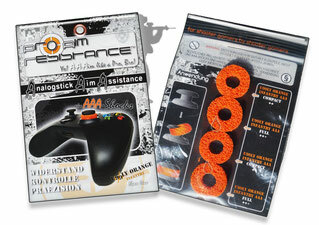 Analogstick Aim Assistance Shock Absorbers are a specific controller add on for first person shooter (FPS) games. 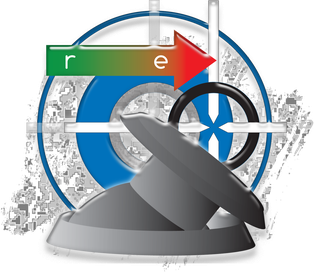 The concept is as easy as genious: Increased resistance leads to significantly more accurate command inputs, i.e. more precise aiming. If you know a little bit about physics (force times distance equal work) and believe in longer sticks for more precision then you'll see that AAA-Shocks are pretty much the other side of the same coin. 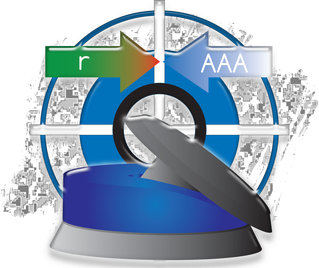 AAA-Shocks are underground since 2012. If you have no AAA-Shocks bros, it's hard to get in touch with it. Be the first AAA-Shocker of your bros. 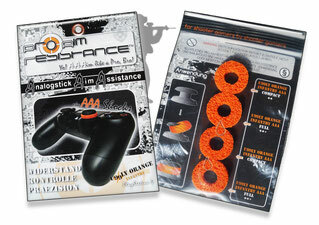 Pull your AAA-Shocks gently over the aiming stick of your original controller and your are ready. As simple as it is effective: No screws, no tinkering. The warranty of your controller will not be affected. 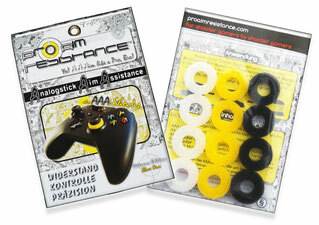 Pro Aim Resistance’s AAA-Shocks gets down to the root of the trouble: AAA-Shocks works as shock absorber under the thumb rest area of the analog stick and enhances its resistance. 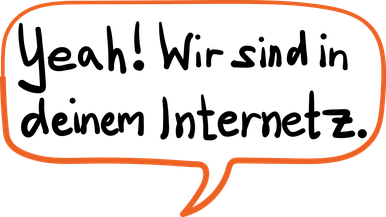 This helps to prevent excessive input [i]. Your precision increases immediately – even with high sensitivity settings! 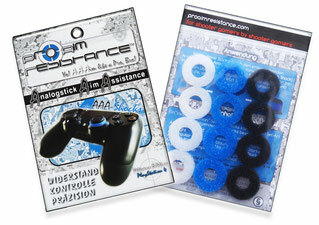 Precise aiming is difficult with analog sticks – especially at a high sensitivity setting. 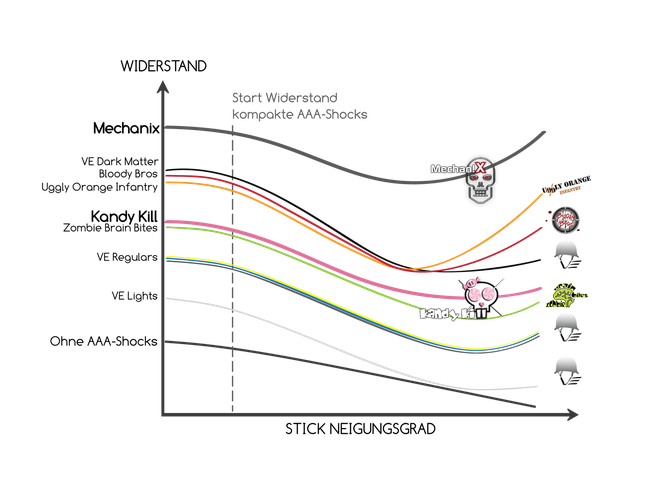 Directional inputs [r] are often too forceful, resulting in over-aiming or an unclean hit. This phenomenon is the so-called "input excess" [e]. Delicate aiming movements will be more precise without sacrificing speed: simply set the sensitivity according to your personal preferences. THIS is the Triple-A-Shock-Absorber effect. You are individual. So are your AAA-Shocks! The differents colors stand for different materials with different shock absorber characteristics. Lever rule causes the resistance of the analog stick to decrease with increasing tilt angle. For you, this means that precise inputs are getting more difficult. All AAA-Shocks increase the resistance of the analog sticks to different degrees and allow you an individual resistance-setting. Knead and heat the AAA-Shocks before fitting in your hands. If you want to remove it, do it right after gaming, they are in fact still kneaded well. Because ...friciton generates heat and heat reduces the risk of cracking. Take your time with installing/removing. Stay always close to the stick and be extra careful with the harder AAA-Shocks (DARK MATTER) so you do not crack them when attaching/removing them. Because ... 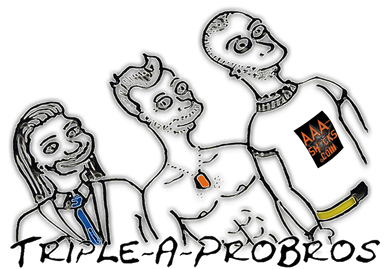 Errors occur In the rush and cracking your hard AAA-Shocks would definitely be a gross mistake. Because ... Otherwise, you can also just set your sensitivity to „grandpa-mode“. Because ... you do not mount sports suspension under your car and then drive across contry neither. Go thru our german check out. You can do it! Yeah! Professional google tanslation in your face, bro! Because ... you do not mount sports suspension under your car and then drive across country neither. 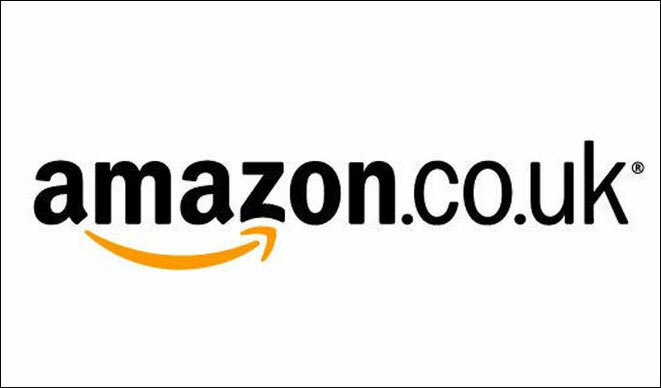 If you are as thrilled with the AAA-Shocks as we are, go tell your bros, friends, homies and colleagues about them, drop a “Like” on facebook.com/proaimresistance, and write an amazon review and copy it to our feedback tool, too. Fighting in a team is much more fun! Don’t forget to post your highscores, photos and whatnot on our facebook page and look forward to a free kit, if we share your post! AAAight! 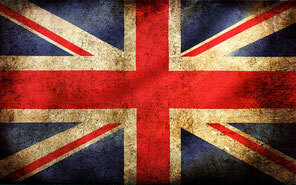 God save the Queen!